9:00 am - 12:00 pm. Sat and Wed. This is one of the areas most celebrated institutions. The first market, held on a summer day in 1972, drew participation from three producers the following week, there were five. That summer, market participation peaked at a dozen vendors, mostly vegetable producers. 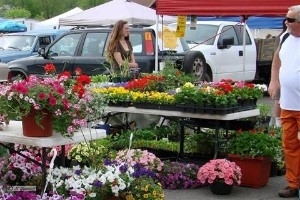 Today the market has blossomed into -one of the nations best markets according to Audubon magazine-. What began as a handful of farmers selling their produce is now a community event showcasing farmers, orchardists, specialty food producers, bakers, horticulturalists, cheese makers and many other food-based entrepreneurs.